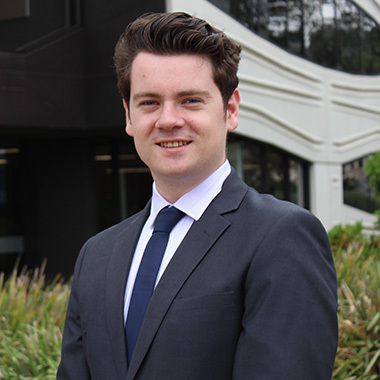 My name is Dylan O’Beirne and I am currently undertaking a Master of Diplomacy at the Asia-Pacific College of Diplomacy (APCD) at ANU. Having completed my Bachelor of Arts (majoring in International Relations) at Monash University in 2015, I was immediately attracted to the postgraduate course offered by the APCD. Since moving up from my home in Melbourne and beginning my studies at ANU at the start of 2016, I have particularly enjoyed the focus the Master of Diplomacy takes in encouraging students to conceptualise issues and ideas of international affairs through the lens of the practitioner, be they government diplomats or other non-state actors such as representatives from non-governmental organisations. Understanding and strategising ways in which diplomatic professionals ought to operate in an increasingly complex international system has been a key component to the Masters programme. One course I found to be especially stimulating was Contemporary Challenges in Diplomacy. A feature of this unit involved a variety of practitioners from a range of different professional backgrounds coming in each week to share their own insights and experiences. This provided a great way for students to think beyond the university seminar room and contextualise ideas introduced throughout the semester in a far more practical context. Another highlight of the Masters programme was the Negotiation Workshop. This was an intensive course designed to give students the opportunity to engage with various negotiation strategies and tactics and apply them in a series of simulations in a diplomatic context. While the workshop was rather exhausting, it was an incredibly rewarding and informative experience that I cannot praise highly enough. Through my studies at the Asia-Pacific College of Diplomacy I have been able to develop a far deeper and more nuanced and understanding not only of international affairs but of the nature of diplomatic work. I have come to more fully appreciate the sort of work required from diplomatic professionals when navigating the increasingly complex issues of today, and the kind of skills needed to be able to do so effectively. I am certain that my time at ANU will prove to be invaluable going forward as I look to build my career in the field of international affairs and foreign policy. I very much look forward to one day applying what I have learnt here during the Masters of Diplomacy to assist my own government in the future.